Wonderful updated efficiency condo in convenient Foscoe location. 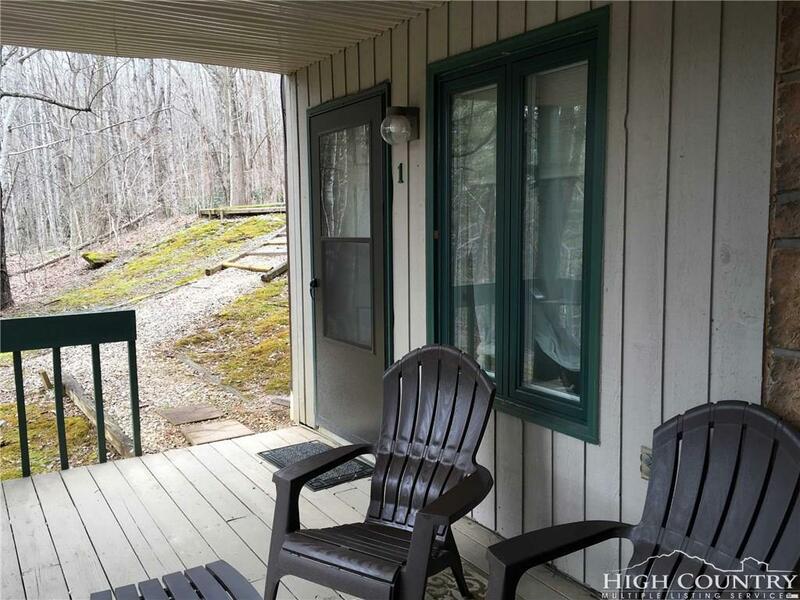 Close to Boone, Appalachian Sate University, Blowing Rock, Banner Elk, and all area ski resorts. Private porch, new flooring and paint, stone fireplace with gas logs. Come furnished with a few exceptions. Low homeowners fees and well maintained. This affordable unit works great for year-round, second home or a great rental.